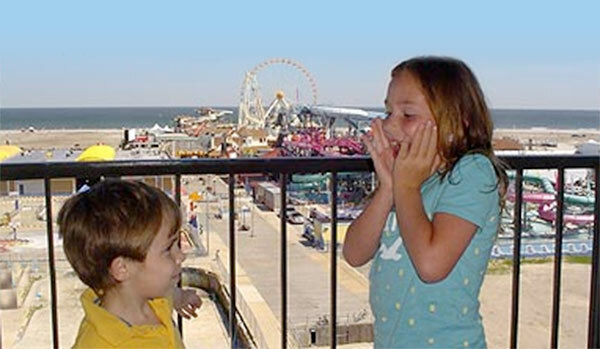 The Beach Terrace Motor Inn, Wildwood’s family resort, offers the finest accommodations and the best value for the perfect family vacation. Restaurant and Lounge on Property! The Wildwood Motel with all the best Amenities! The Beach Terrace Wildwood Motel is located in the center of Wildwood, one block away from the world famous Wildwood boardwalk, located next to Morey’s Piers and Raging Waters. The 2.5 mile boardwalk is home to a plethora of arcades, Italian and Greek cuisine, ice cream and family food, fun t-shirt stores, gift shops, and the Wildwood Boardwalk Mall. Take a ride on our memorable tram car or indulge yourself by eating some of Wildwood’s famous salt water taffy and fudge from many its historic stores. 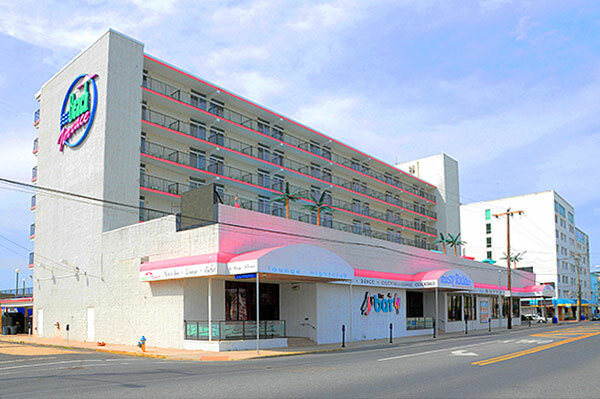 The Beach Terrace Wildwood Motel provides oceanfront balconies for you to enjoy the direct view of our fun-filled boardwalk and sandy beaches. 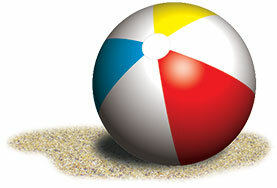 The Beach Terrace Motor Inn has free Wi-Fi, along with the historic Rusty Rudder buffet, night club, and outdoor pool area for your enjoyment. Every room comes equipped with two TV’s, outdoor balconies, refrigerator, microwave, two or more beds and tiled floors. Efficiencies with kitchens are also available. Several of Wildwood’s restaurants and pizzerias are located near our hotel ready to deliver food to you at a moment’s notice, as well as a bowling alley two blocks away. 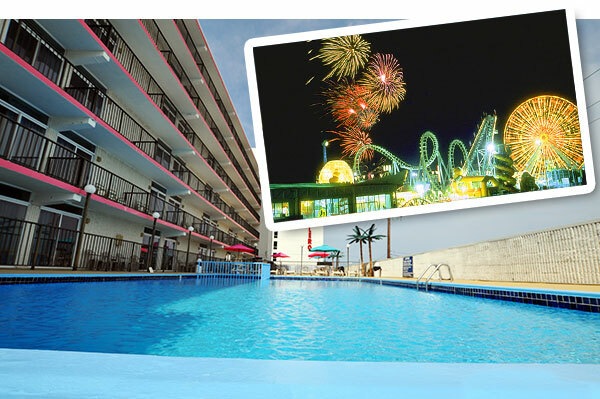 The Wildwood Convention Center is located several blocks away from the Beach Terrace Wildwood Motel and one block away from Pacific Ave. Three of Wildwood’s most popular amusement piers and water parks are located nearby, including Morey’s Mariner Pier and Splash zone.